It's time for winter. Today is the Winter Solstice in fact. So I am a little late cutting back the dead peony foliage this year, but I did get some of it done before winter. I spent some time yesterday removing the dead peony stems and leaves from the herbaceous peonies. The foliage can carry the spores from the botrytis blight and reinfect next years stems. So it is important to remove all stems and leaves from and put this dead foliage in the trash. 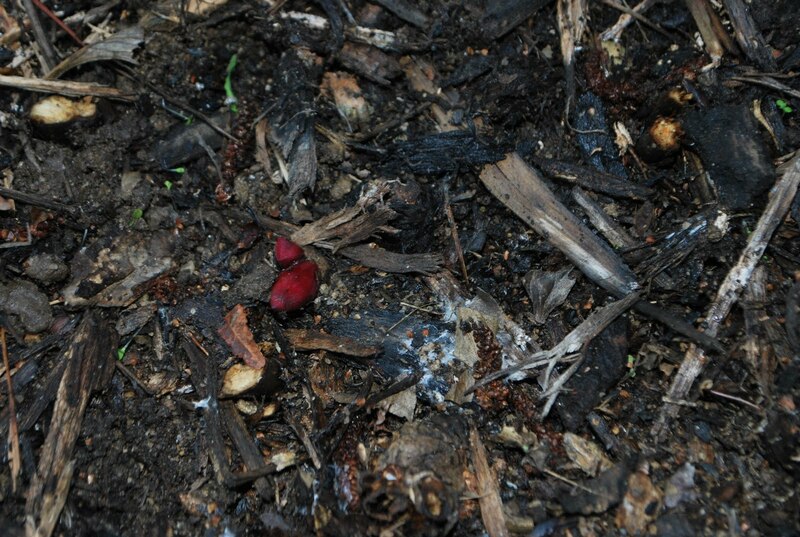 It is important not to leave these remains or compost them, as the diseases may still propagate. 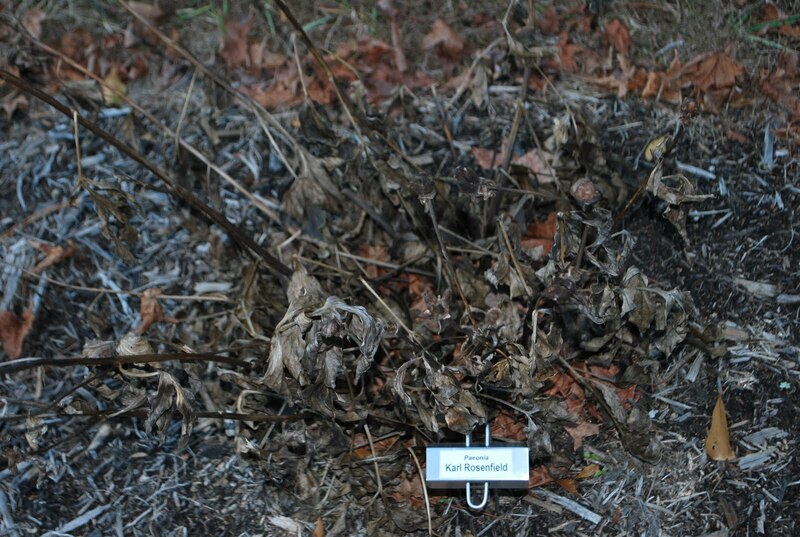 Here are some photos of my 'Karl Rosenfield' peony before and after cleanup. 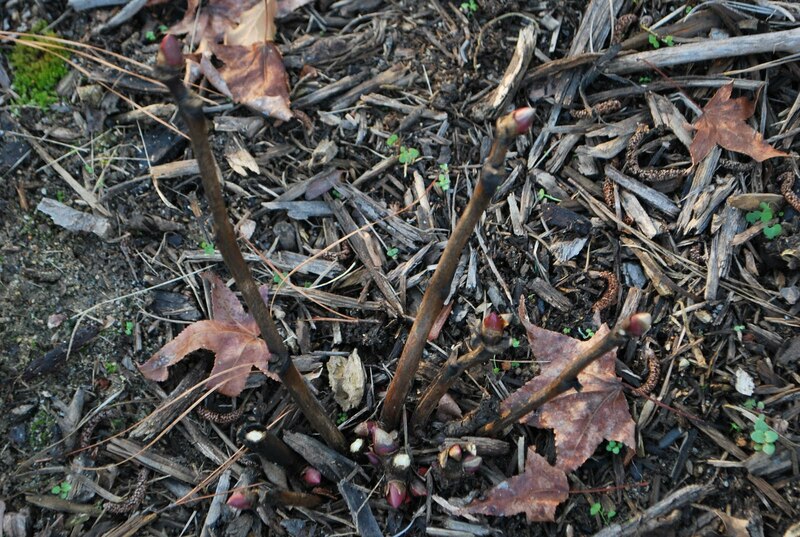 As you can see the hot pink buds for next years stems are visible above ground. Since I live in a southern climate, it is important that the peony be planted at this depth to get the required amount of chilling hours required for flowering. 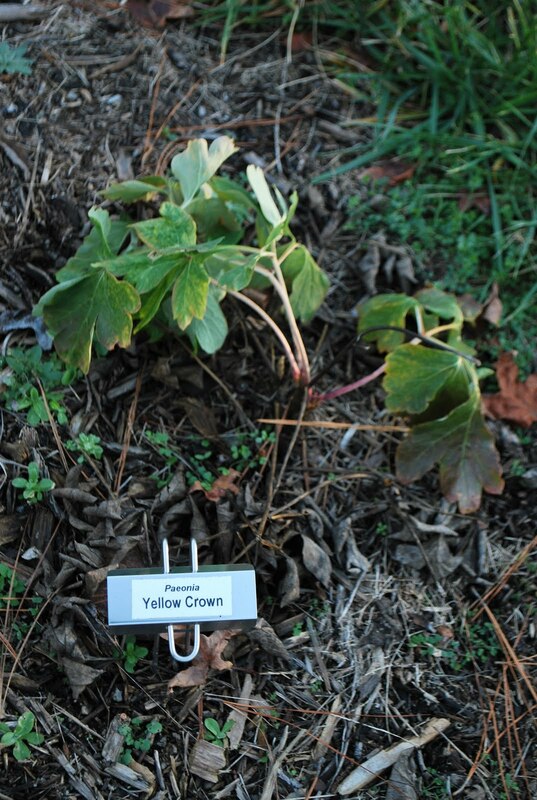 Another interesting thing I've noticed the past 2 winters is that one of the intersectional peonies that I have, 'Yellow Crown', sends up new shoots in late summer/early fall that don't seem to die back with the first frost and last for some time into winter. 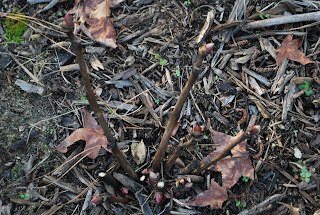 The original shoots from spring have died back, but the later growth still remains. Another intersectional peony that I have, 'Bartzella', has kept above ground stems like a tree peony. I accidentally cut off one of the stems before I realized they had buds on them. I don't know if the stems will survive the winter, but since this peony has never produced any flowers, I am going to leave them in place. 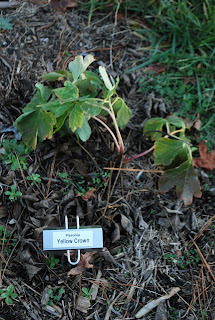 It will be an interesting experiment to see if they survive the winter and produce any flowers.